UNITED STATES: A consortium of developers, engineers, and environmental and ecological consultants have submitted a lease application for a floating wind farm off the coast of northern California. This story was first published on 3 April, 2018, when the RCEA selected the Principle Power-led consortium to develop the floating wind farm. It was updated on 13 September, 2018, when the group, along with the RCEA, submitted a lease application to the BOEM. The proposed wind farm would consist of between 10 and 15 turbines with a combined capacity of between 100MW and 150MW and would be situated more than 32 kilometres off the coast of Eureka in northern Humboldt county. It could be commissioned in 2024, according to the Redwood Coast Energy Authority (RCEA). It had selected a group comprising floating platform designer Principle Power, developer EDP Renewables’ Offshore North America division, engineering firm Aker Solutions, ecological consultancy HT Harvey and Associates and the Herrera Environmental Consultants after issuing a request for qualifications (RFQ) in February. The RCEA and the selected consortium has now submitted a lease application to the Bureau of Ocean Energy Management (BOEM). Principle Power had signed a memorandum of understanding (MoU) with the RCEA to "work together on the key requirements needed to develop Humboldt’s offshore wind energy potential", in October 2017. After being chosen in the RFQ, the company’s president and CEO, Joao Metelo, added: "The establishment of a public-private partnership with a community-based energy provider like RCEA represents a unique opportunity to develop a project with strong foundations from the get-go, and to build a comprehensive launching pad for a successful industry in the west coast." 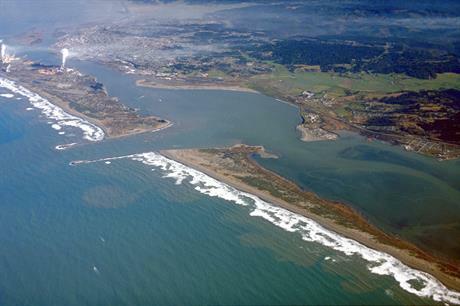 The RCEA said it chose the group because of its "significant offshore wind lease application and permitting experience... capacity to develop, finance, operate and build a supply chain", and Principle Power’s "mature, cost-competitive and suitable floating wind technology for Humboldt county’s unique geography". Principle Power’s WindFloat technology has been successfully piloted off the coasts of Portugal, France, and Japan. It provides access to transitional and deep-water offshore sites, the company stated. This would include the coast of northern California. In a 2017 report, Robert Collier, a research and policy specialist on the Green Economy Program at the University of California, Berkley’s Center for Labor Research and Education, claimed floating wind turbines would be best-suited to the Californian coast as the seabed "slopes steeply downward into deeper waters". A RCEA spokeswoman added: "The wind resource off the Humboldt County coast is the best off California with average wind speeds of more than ten metres per second, inducing expected high-capacity performance from wind farms."